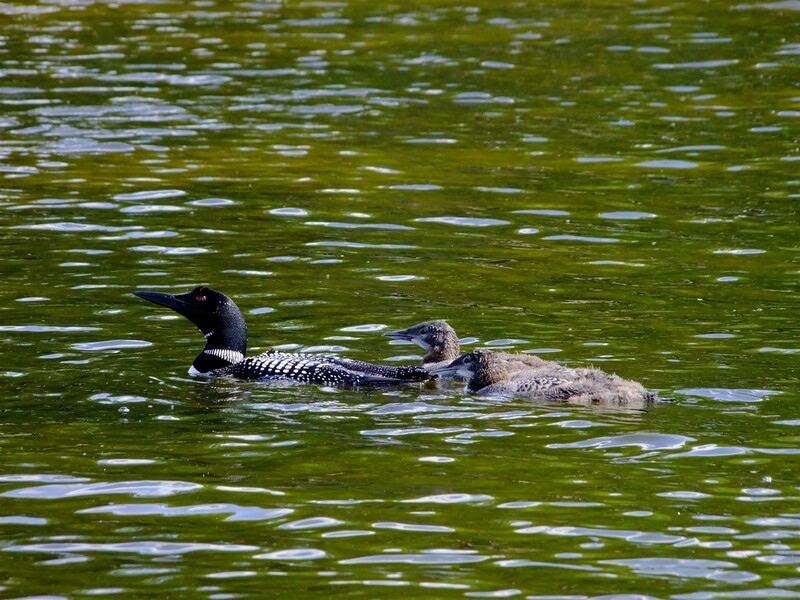 Female Common Loon with a pair of chicks that are about 45 days old. Only 1 out of every 4 chicks survives its first year, and these two are doing well so far. 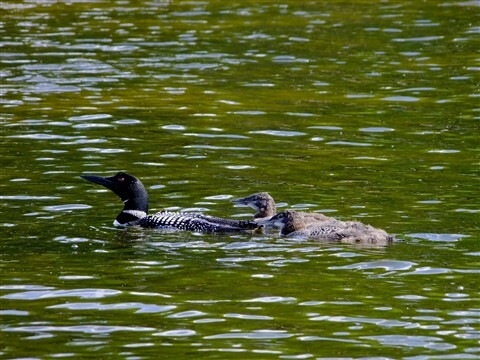 In 1983, there were less than 200 loon pairs in Michigan and they are a protected species. Their biggest predators are the owners of jet skis who have no idea what 'protected species' even means.